Meticulously clean & updated top floor corner unit. Great layout with fireplace living, formal dining, and lots of natural light. Newer Furnace & H2O in 2017. Full-size washer and dryer in a separate & large utility room. Sunny west facing deck with large storage closet. Condo amenities include a sport court, pool, and clubhouse. Ample guest parking. 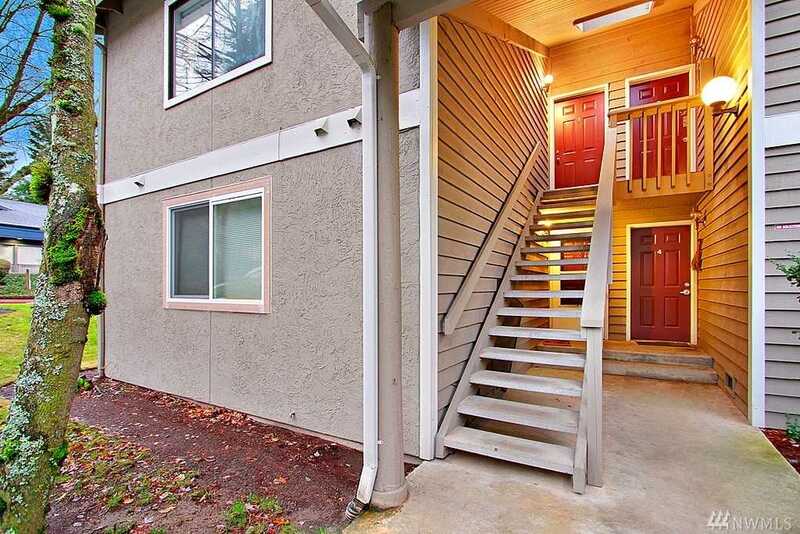 Easy access to freeway, Park & Ride and new Totem Lake shopping. No Rental Cap. Directions: 116th Ave. NE exit turn Rt. Turn LT. on Slater Ave. Rt. on NE 119TH into Slater Park go back past cabana turn R. Building A 1st building on Left. Top corner unit.